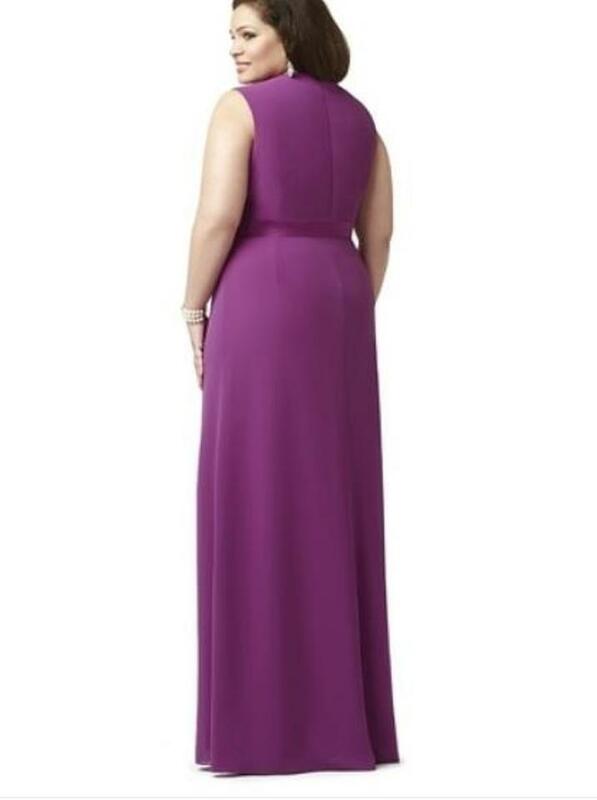 Style 9000 is a Dessy Lovelie full length v-neck sleeveless dress in nu-georgette fabric. 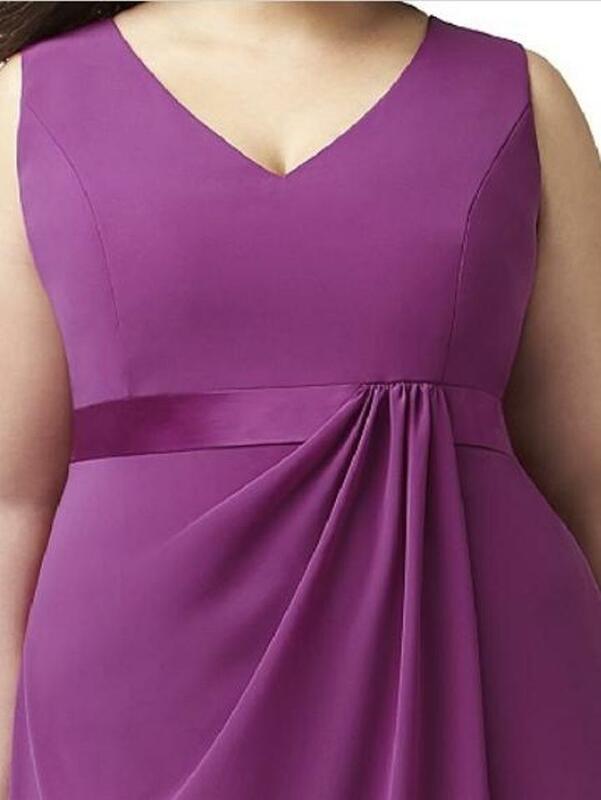 It has a matching matte satin band at an empire waist. It also features a draped detail at the front skirt.